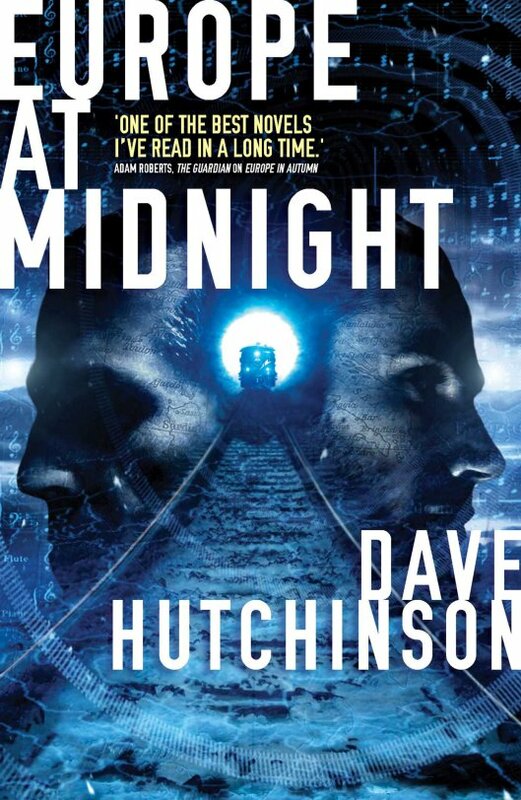 In the bad-tempered run-up to the vote on whether or not the United Kingdom should quit the European Union, this, the second novel in Dave Hutchinson's Fractured Europe sequence, is especially topical. It isn't a direct sequel to its predecessor, Europe in Autumn, but does extend and deepen that novel's revelation of the existence of alternate territories underlying a near future Europe devastated by the Xian flu and shattered into hundreds of micro-states. But it begins elsewhere, in the isolated bubble world of the Campus, a wintery and impoverished pocket world where, in the aftermath of a revolution that violently deposed the Old Board, the new Professor of Intelligence, who goes by the name Rupert of Hentzau, begins to uncover a conspiracy involving the Campus's Science City. In a second narrative thread, a random stabbing in Camden entangles a British intelligence officer in the search for a county west of London imagined into being by the Whitton-Whytes, a family of landowners, and Hutchinson neatly tangles the two threads in a mission to infiltrate the Community, the quaint yet sinister English Ruritania that underlies the shattered map of Europe. Wainscot societies, hidden in the margins of the world we know, are a commonplace in fantasy -- the most famous example is, of course, Harry Potter's wizarding world. While the Community is armed not with magic but nuclear weapons, it is, like many wainscots, intent on secretly manipulating the real world, a powerful and hidden player in the realpolitik of fractured Europe. Like Alan Furst (is the title of his novel an homage to Furst's Europe In Midnight? 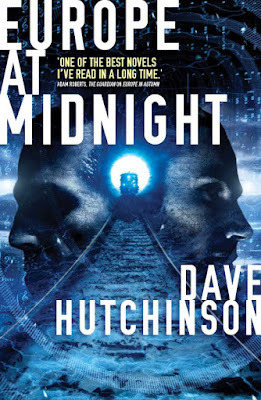 ), Hutchinson's subject is the growing shadow of war or disruption in the heart of Europe; like John Le Carre, he deploys considerable lore about tradecraft and procedure, and foregrounds the human stories at the heart of conspiracies; like Eric Ambler and John Buchan, he isolates the heroic impulse in seemingly ordinary men. The novel's middle section, involving infiltration of the sewers under a micro-state created by kleptocrats in the middle of Dresden, doesn't quite escape the spy-novel cliches Hutchinson knowingly and nicely inverts or undercuts elsewhere, but the settings and complex intrigue in the Community and the post-revolutionary Campus, and Rupert's dazed perspective of our world when he escapes his own, are vividly imagined, and the narrative that leads Hutchinson's characters deeper and deeper into various rabbit holes is informed by a wry cynicism and no little irony, and requires close and careful reading. Vital information is withheld; like Rosencrantz and Guildenstern, characters exhibit a kind of dogged bafflement as they try to understand events they only partially witness. In less certain hands this reticence and misdirection could have created muddle and confusion. But Hutchinson expertly carpenters his two narratives into a satisfying whole, spinning threads that may be picked up in future novels in the sequence, and via exploration of the Community's stifling utopia, interrogating and satirising the Matter of England and the nature of Englishness with a trenchant and mordant wit.